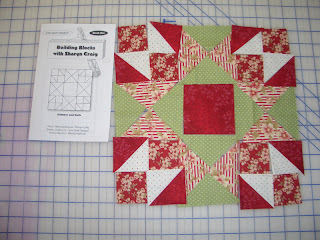 This week finds me zig zagging away on the Monster Blocks-need to finish this one by the end of March. 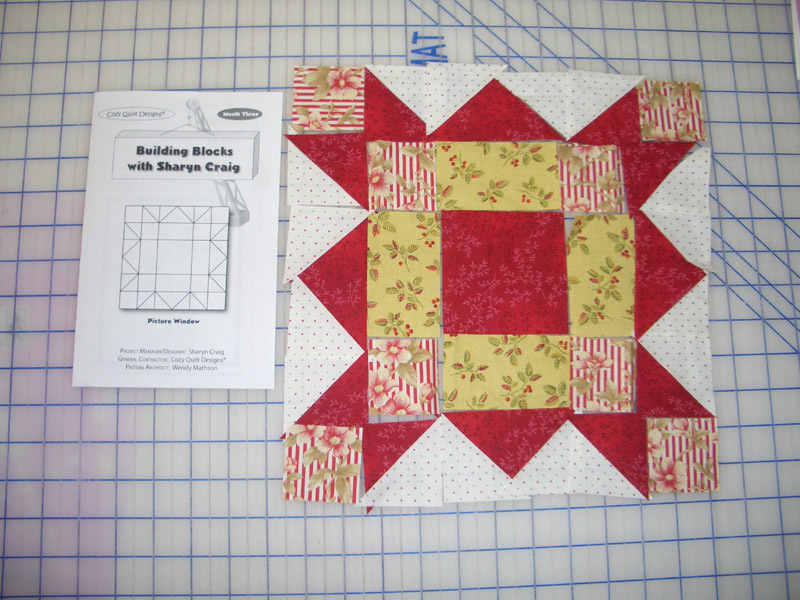 Also on my design wall is a Block of the Month by Sharyn Craig and Cozy Quilt Shop. 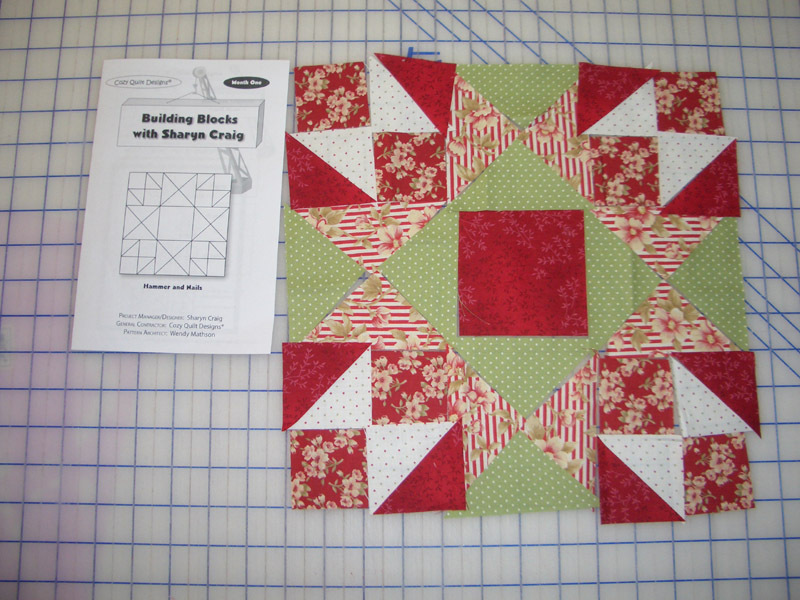 It was offered in three colorways: Brights, Red/Green, and Red/White/Blue. It started in January, and as usual, I am already behind! 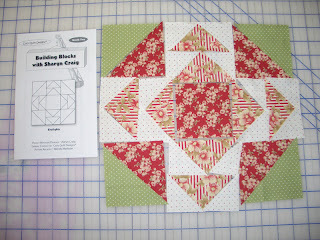 I have all three of the blocks cut out and just have to sew them together but, I am still playing around with the color placement. I love you color choices and fabrics, very nice!! Can't count on me for colors going with each other, I lack that ability. They each look nice, I like the middle one. Have a great day. I really like 1 & 2. 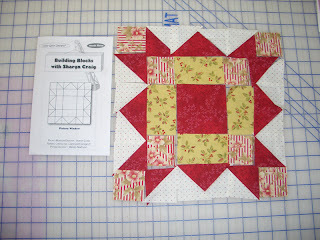 3 is a little jarring but when other blocks with the yellow are introduced, it will fit in fine. That is one of the problems with BOMs is that you can't see the finished product to make color choices. I am having the same problem with two BOMs I am currently doing. 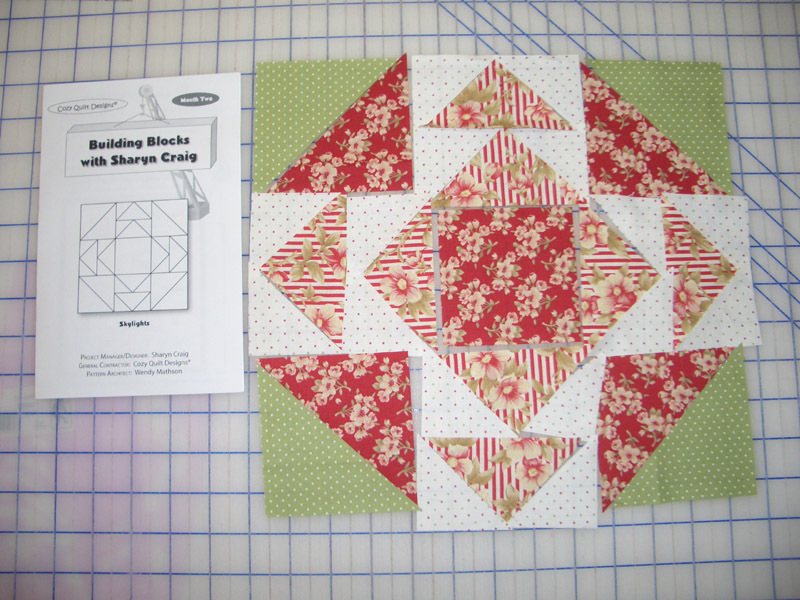 Those are very pretty blocks, love your fabric choices!